Today, the American Film Institute (AFI) announced the slate of films for AFI DOCS 1016, running June 22-26 in Washington, DC, and Silver Spring, Maryland. The 14th edition showcases 94 films representing 30 countries, including three world premieres, seven North American premieres, three U.S. premieres, 12 East Coast premieres and one international premiere. AFI DOCS 2016 screenings will take place in Washington, DC, at the Newseum and the Landmark E Street Cinema, and in Silver Spring, Maryland at the AFI Silver Theatre and Cultural Center. "The lineup at AFI DOCS 2016 illustrates that everyone has a story, and that those stories are as entertaining, twisted and provocative as fiction," said Michael Lumpkin, Director of AFI DOCS. "While our artists and policy leaders will engage in the urgent realities presented in these films, audiences will experience the best in documentary cinema today throughout the festival." Also previously announced, AFI will recognize Academy Award-nominated filmmaker Werner Herzog at AFI DOCS as the Charles Guggenheim Symposium honoree at the Newseum on June 24. The Symposium will include a conversation, moderated by Ramin Bahrani, followed by the East Coast premiere of Herzog's latest film LO AND BEHOLD, REVERIES OF THE CONNECTED WORLD. The Newseum will also host this year's Spotlight Screenings - AUDRIE & DAISY (DIRS Bonni Cohen, Jon Shenk), CHECK IT (DIRS Toby Oppenheimer, Dana Flor), LIFE, ANIMATED (DIR Roger Ross Williams) and NEWTOWN (DIR Kim A. Snyder) - with panel discussions or extended Q&As with special guests to follow. Tickets to AFI DOCS, including Galas and Spotlight Screenings, will be available to AFI members exclusively from May 9-17, and to the public on May 18. Passes for AFI DOCS 2016 are now on sale at AFI.com/afidocs. OPENING NIGHT GALA: ZERO DAYS: DIR Alex Gibney. USA. Academy Award-winning filmmaker Alex Gibney returns to the festival with ZERO DAYS, a fascinating exposé of American and Israeli covert operations aimed at Iran's nuclear program. North American premiere. SPOTLIGHT SCREENING: AUDRIE & DAISY: DIRS Bonni Cohen, Jon Shenk. USA. Two teenaged victims of sexual assault fight to survive and heal in this riveting examination of what happens when social media spirals frighteningly out of control. SPOTLIGHT SCREENING: NEWTOWN: DIR Kim A. Snyder. USA. A deeply moving portrait of a community scarred by gun violence yet bound together in their grief and commitment to honor the ones they have lost. SPOTLIGHT SCREENING: CHECK IT: DIRS Dana Flor, Toby Oppenheimer. USA. A gang of gay and transgender Washington, DC, teens attempts to overcome violence, poverty and prostitution by finding a more productive outlet - through the world of fashion. SPOTLIGHT SCREENING: LIFE, ANIMATED: DIR Roger Ross Williams. USA. In this joyous and uncommon coming-of-age tale, a boy with autism learns to communicate with his family by reciting lines from his beloved Disney characters. 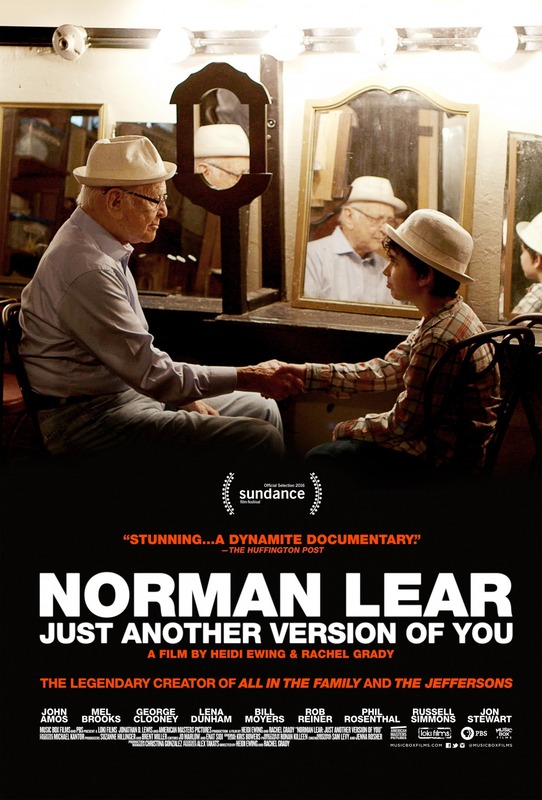 CLOSING NIGHT GALA: NORMAN LEAR: JUST ANOTHER VERSION OF YOU: DIRS Heidi Ewing, Rachel Grady. USA. At 93, an energetic, funny and thoughtful Norman Lear looks back on a remarkable career that defined American television in the 1970s. 5 OCTOBER: DIR Martin Kollar. Czech Republic/Slovakia. Facing a surgery with a 50/50 chance of survival, a man vagabonds across Europe. Solemn yet upbeat, 5 OCTOBER delivers a beautiful portrait of humanity in limbo, both geographical and mortal. North American premiere. ABORTION: STORIES WOMEN TELL: DIR Tracy Droz Tragos. USA. Director Tracy Droz Tragos surveys reproductive politics in her native Missouri, which some hope to proclaim the first abortion-free state in the nation. AFTER SPRING: DIRS Ellen Martinez, Steph Ching. USA. AFTER SPRING follows several residents of Jordan's Zaatari refugee camp - the largest in the Middle East - a temporary home to many Syrians fleeing the brutal civil war. ALL THIS PANIC: DIR Jenny Gage. USA. This sumptuously photographed portrait shot over three years centers on seven teen girls navigating the excitement and anxiety of adolescence in New York. ALMOST SUNRISE: DIR Michael Collins. USA. Two Iraq War vets hike a 2,700-mile course from the Midwest to the California Coast in order to raise awareness of PTSD. ANTS ON A SHRIMP: DIR Maurice Dekkers. Netherlands. Follow the team behind Copenhagen's Noma - widely regarded as the world's best restaurant - as they work to create a mind-blowing menu for their Tokyo pop-up. CARE: DIR Deirdre Fishel. USA. Compassionate caregivers support millions of elderly Americans who want to remain in their homes, yet too often cannot afford a roof over their own heads. North American premiere. CHICKEN PEOPLE: DIR Nicole Lucas Haimes. USA. Purebred dogs have Westminster; purebred chickens have the annual Ohio National Poultry Show. Some 10,000 specimens compete for the crown in this competition, boasting an array of meticulously manicured poultry perfection. East Coast premiere. CINEMA, MON AMOUR: DIR Alexandru Belc. Czech Republic/Romania. As the last of Romania's once great movie palaces slowly shutters its doors, theater owner Victor and his staff go to ridiculous lengths to save their now rundown theater. COMMAND AND CONTROL: DIR Robert Kenner. USA. The dramatic and compelling story of a barely averted disaster reveals how the aging nuclear warheads in our midst threaten communities and regions across America. CONTEMPORARY COLOR: DIRS Bill Ross, Turner Ross. USA. In 2015, David Byrne staged a Brooklyn concert that paired high school color guards with a diverse lineup of musicians, resulting in an eye-popping celebration of music and dance. DO NOT RESIST: DIR Craig Atkinson. USA. DO NOT RESIST is a powerful and chilling look at the increasing militarization of our nation's police forces. DOC & DARRYL: DIRS Judd Apatow and Michael Bonfiglio. USA. Directors Judd Apatow and Michael Bonfiglio delve deep into the triumphs and trials of baseball greats Darryl Strawberry and Dwight "Doc" Gooden. World premiere. A FAMILY AFFAIR: DIR Tom Fassaert. Netherlands/Belgium/Denmark. In this intriguing and intimate documentary, Dutch filmmaker Tom Fassaert probes the dark corners of his family history in an attempt to understand his enigmatic grandmother. North American premiere. FAREWELL FERRIS WHEEL: DIRS Jamie Sisley, Miguel M.i.G. Martinez. USA. There are many parallels between the lives of a migrant laborer and a carnival worker. FAREWELL FERRIS WHEEL is a year in the lives of men who are both. World premiere. FOLLOWING SEAS: DIRS Tyler J. Kelley, Araby Williams. USA. Utilizing beautiful archival 16mm footage, FOLLOWING SEAS regales Bob Griffith and Nancy Hirsch's adventures on the high seas, from Polynesia to circumnavigating the Arctic Circle. GLEASON: DIR Clay Tweel. USA. GLEASON is an unflinchingly honest portrait of football star Steve Gleason, who was diagnosed with a rapidly progressive form of ALS at age 34. HAVEABABY: DIR Amanda Micheli. USA. Thoughtful and engaging, HAVEABABY focuses on a group of aspiring parents who enter a controversial video contest held by a Las Vegas fertility clinic. HOOLIGAN SPARROW: DIR Nanfu Wang. China. Director Nanfu Wang follows intrepid activist "Hooligan Sparrow" throughout southern China, exposing widespread official indifference to sexual abuse of girls and women, while dodging a cadre of government operatives who track her every move. HOW TO BUILD A TIME MACHINE: DIR Jay Cheel. Canada. Two very different men, one a Hollywood animator, the other a physicist, become obsessed with the notion of time travel. IN THE SHADOW OF THE HILL: DIR Dan Jackson. Australia. The disappearance of a bricklayer from Rio's largest slum exposes the dark side of pacifying police units charged with sanitizing favelas in the lead-up to the World Cup and Summer Olympics. U.S. premiere. THE ISLANDS OF THE WHALES: DIR Mike Day. UK/USA/Denmark. Rising levels of mercury, changes in the environment and anti-whaling activists affect an ancient way of life for the remote Faroe Islanders. THE LAND OF THE ENLIGHTENED: DIR Pieter-Jan de Pue. Netherlands/Belgium/Ireland/Germany/Afghanistan. This visually stunning hybrid documentary follows a posse of preadolescent boys living by their wits in an unforgiving no man's land in rural Afghanistan. East Coast premiere. LO AND BEHOLD, REVERIES OF THE CONNECTED WORLD. DIR Werner Herzog. USA. Provocative and challenging, Werner Herzog's new film explores the Internet's societal impact and whether artificial intelligence will one day surpass our own. East Coast premiere. THE LOVERS AND THE DESPOT: DIRS Robert Cannan, Ross Adam. UK. This stranger-than-fiction tale chronicles the amazing story of director Shin Sang-ok and actress Choi Eun-hee, who were kidnapped by North Korea and forced to work as Kim Jong-il's personal filmmakers. THE MAN WHO SAW TOO MUCH: DIR Trisha Ziff. Mexico. For more than five decades, photojournalist Enrique Metinides roamed the streets of Mexico City capturing images that reveal the drama of disaster in a single frame. U.S. premiere. MAYA ANGELOU: AND STILL I RISE: DIRS Bob Hercules, Rita Coburn Whack. USA. Co-directors Bob Hercules and Rita Coburn Whack present a lovingly crafted and stunningly comprehensive portrait of the esteemed Dr. Maya Angelou. MISS SHARON JONES! DIR Barbara Kopple. USA. Director Barbara Kopple trains her lens on the inspiring and soulful chanteuse Sharon Jones as she fights a yearlong battle with cancer. OBIT: DIR Vanessa Gould. USA. OBIT takes us into the world of the legendary obituary desk at The New York Times to show us why writing obits is not about death, but about celebrating extraordinary lives. THE OPPOSITION: DIR Hollie Fifer. Australia. In this riveting David and Goliath tale, a community of native Papua New Guineans battle developers who try to claim to their homeland for a seaside tourist resort. U.S. Premiere. PATIENT: DIR Jorge Caballero. Colombia. The enduring love between a mother and her 23-year-old cancer-stricken daughter is at the heart of this beautifully constructed film about care and devotion. PLAZA DE LA SOLEDAD: DIR Maya Goded. Mexico. Noted Mexican photographer Maya Goded makes an impressive filmmaking debut in this sensitive study of the older prostitutes she has photographed for years. East Coast Premiere. RAISING BERTIE: DIR Margaret Byrne. USA. RAISING BERTIE is a sensitively made portrait of three African American teen boys coming of age in the rural community of Bertie County, North Carolina. THE ROAD: DIR Zhang Zanbo. China. An eye-opening account of the creation of a superhighway system in China, the corruption that engulfed it, and the human lives it affected. North American premiere. SHALOM ITALIA: DIR Tamar Tal Anati. Israel. SHALOM ITALIA focuses on three Jewish brothers who go in search of a cave in the Italian countryside where their family hid during World War II. International premiere. SOLITARY: DIR Kristi Jacobson. USA. Director Kristi Jacobson's powerful film takes a humane yet dispassionate look at one of the most controversial aspects of America's modern prison industrial complex: solitary confinement. SONITA: DIR Rokhsareh Ghaem Maghami. Iran/Germany/Switzerland. A teenage rapper in Iran dreams of becoming the next Internet sensation. Her family needs her to marry for money. Could music be her escape? SOUTHWEST OF SALEM: THE STORY OF THE SAN ANTONIO FOUR: DIR Deborah S. Esquenazi. USA. Four Latina Lesbians in San Antonio fight to clear their names after being convicted of the sexual abuse of two young girls. TEMPESTAD: DIR Tatiana Huezo. Mexico. A haunting, beautifully shot portrayal of violence and corruption in Mexico revealed through evocative imagery showing a society where fear is a fact of life. THEY CALL US MONSTERS: DIR Ben Lear. USA. This fresh look at juvenile justice follows three young men awaiting sentencing for violent crimes as a legal debate rages on imposing life sentences for minors. East Coast premiere. THOSE WHO JUMP: DIRS Moritz Siebert, Estephan Wagner, Abou Bakar Sidibé. Denmark. This riveting depiction of human desperation chronicles a community of African men in Morocco and their attempts to scale a fence to gain entry to Europe. East Coast premiere. TICKLED: DIRS David Farrier, Dylan Reeve. New Zealand. A New Zealand reporter stumbles across a mysterious American website for tickling fetishists and uncovers much more than he bargained for in this wildly entertaining exposé. East Coast premiere. TOUCAN NATION: DIR Paula Heredia. Costa Rica/USA. The abuse and rehabilitation of a beautiful, exotic bird becomes a call to action for stronger animal welfare laws in Costa Rica. North American premiere. TOWER: DIR Keith Maitland. USA. The ingenious blend of animation, narration and live action focuses on a fateful day in 1966 when a sniper climbed the bell tower at the University of Texas at Austin. TWO WORLDS: DIR Maciej Adamek. Poland. TWO WORLDS is a delightful portrait of a teenage girl who navigates life with her deaf parents in rural Poland. North American premiere. UNDER THE SUN: DIR Vitaly Mansky. Russia/Latvia/North Korea/Czech Republic/Germany. UNDER THE SUN is a remarkable glimpse behind North Korea's propaganda curtain as filmmaker Vitaly Mansky captures his government minders manipulating his film about a "typical" Pyongyang family. East Coast premiere. VISITOR'S DAY: DIR Nicole Opper. USA/Mexico. A runaway at age 10, a homeless alcoholic at 14, now at a home for boys in Mexico: can Juan Carlos achieve self-acceptance and become the man his father wasn't? World premiere. WHEN TWO WORLDS COLLIDE: DIRS Heidi Brandenburg, Mathew Orzel. Peru. When lucrative mining and clearcutting contracts threatened their native lands, indigenous Peruvians took to the streets. This remarkable film documents their struggle against environmental devastation. WHO'S GONNA LOVE ME NOW? DIRS Barak Heymann, Tomer Heymann. Israel. This moving portrait follows an Israeli expat caught between two very different worlds: gay life in London and his family's Orthodox kibbutz. East Coast premiere. AMERICAN BAGHDAD: DIR Ron Najor. USA. Members of the largest population of Iraqi refugees in the U.S. grapple to find a place for themselves in this new land they call home. THE ART OF FLYING: DIR Jan van Ijken. Netherlands. Bird murmuration creates unfiltered art through the ebb and flow of natural patterns. BARBARIAN PRESS: DIR Sarah Race. Canada. Jan and Crispin Elsted create stunning handmade letterpress books while wondering who might succeed them in their passion for a fading craft. BIRD STRIKE: DIR Edward Cook. Netherlands. Amsterdam's Schiphol Airport abuts land favored by legions of birds. Keeping aviation safe calls for immense creativity, including geese corralling skills. BISONHEAD: DIR Elizabeth Lo. USA. A tribe of Native Americans is marginalized even further when the government limits their ability to hunt. Backed into a literal and figurative corner, they fight keep their traditions alive. THE BOTANIST: DIRS Maude Plante-Husaruk, Maxime Lacoste-Lebuis. Canada/Tajikistan. A resourceful local living in the rugged, rural, moonscape of Tajikistan builds a hydroelectric generator to power his family's farm. CHOCOLATE MOUNTAIN METAL: DIRS Ryan Maxey, Danielle Davis. USA. At the edge of California's Salton Sea lies an eerie mountain range that's home to both an outlaw element and the largest U.S. gunnery range. CLINICA DE MIGRANTES: LIFE, LIBERTY AND THE PURSUIT OF HAPPINESS: DIR Maxim Pozdorovkin. USA. Undocumented migrants are among the most underserved communities in the U.S. Dedicated staffers at a Philadelphia clinic offer medical care with a healthy dose of compassion. DANCING FOR YOU: DIR Erlend E. Mo. Norway. This beautiful short follows young Vilde as she trains for a traditional Norwegian dance competition while bonding with her cherished and ailing grandfather. DEMOCRACY IS A CIRCUS IN AFGHANISTAN: DIR Lorian James Delman. Afghanistan. Children in war-torn Afghanistan join a kids' circus and become empowered to speak out for freedom and democracy. THE DIVER: DIR Esteban Arrangoiz. Mexico. THE DIVER reveals the underwater and otherworldly adventures of sewer divers in Mexico City. THE DOG: DIRS Drea Cooper, Zackary Canepari. USA. Dogs are often cherished family members - even the Aibo robot dog. After Sony Corporation stopped manufacturing new parts, owners face the extinction of their beloved pets. EARS, NOSE AND THROAT: DIR Kevin Jerome Everson. USA. Acclaimed filmmaker Kevin Jerome Everson's latest work juxtaposes a woman's medical examination with a narrator who recounts the tragic shooting she witnessed of DeCarrio Antwan Couley. EXTREMIS: DIR Dan Krauss. USA. A critical care physician, her patients and their families grapple with complex, emotional decisions about how far to go to keep the critically ill alive. FULL OF DREAMS: DIR Marinka de Jongh. Netherlands. A young girl bonds with residents of a group home and encourages them in artistic endeavors. FUNDIR: DIR Allison Cekala. USA. The barren, windswept plains of Chile's Atacama Desert provide a mineral necessary to survive winters in Boston: rock salt to melt the snow. GIRLS AND BOYS: DIR Tomasz Gubernat. USA. A frustrated instructor attempts to corral her young students in order to teach them the "proper" way to dance. THE GREAT THEATRE: DIR Slawomir Batyra. Poland. A stunning peek behind the curtain at the inner-workings of a majestic theater in Poland during a production of Puccini's "Madame Butterfly." HEARING MADGE: DIR Andrea Lewis. USA. Many remember the dead by listening to their recorded voices or favorite music. Jason Leach goes one step further with his unique pressing process for vinyl records. I AM YUP'IK: DIRS Daniele Anastasion, Nathan Golon. USA. The residents of a tiny Alaska town hold two things dear - Yup'ik culture and a love of basketball. IRREGULARS: DIR Fabio Palmieri. Italy. A mannequin factory provides an unlikely but visceral backdrop to the harrowing tale of one man's quest for freedom. THE ISLAND OF ALL TOGETHER: DIRS Philip Brink, Marieke van der Velden. Netherlands. European tourists on the Greek Island of Lesvos sit down for heart to hearts with Syrian refugees in this touching homage to the power of empathy and human connection. JOE'S VIOLIN: DIR Kahane Cooperman. USA. A cherished violin changes hands from a Holocaust survivor to a Bronx schoolgirl in this heartfelt film about the restorative power of music. THE LAST BLINTZ: DIR Dori Berinstein. USA. An iconic Manhattan eatery is about to close its doors forever; is "progress" worth the loss of our cherished landmarks, institutions, and sense of community? MY DEADLY, BEAUTIFUL CITY: DIR Victoria Fiore. USA. Residents of an industrial town in the Arctic ponder how pollution affects their lives and the landscape. NEIGE: DIR David Redmon. Canada. A welcome sight and sound on a wintry Toronto night, a snow removal crew finally arrives to dig out residents. OCEAN STORIES: GREG STONE: DIR Patrick Creadon. USA. Inspired by Jacques Cousteau, Greg Stone has dedicated his life to deep-sea treasure hunting, logging over 10,000 hours in nearly every corner of the world. OF A FEW DAYS: DIR Timothy Fryett. USA. This subtle yet powerful film follows the daily goings-on within a Chicago funeral home. PAUL'S LAST WALTZ: DIR Lieza Roben. Netherlands. A tight-knit Dutch family reflects on their very special final days with Paul, the beloved family patriarch. PHIL'S CAMINO: DIRS Annie O'Neil, Jessica Lewis. USA. A cancer patient adopts a positive approach to treatment, incorporating exercise by replicating the legendary Camino de Santiago pilgrimage trail - in his own backyard. PIT STOP: DIR Olivia Booker. USA. As the gap grows steadily between the haves and have-nots, some San Francisco residents lack the most basic amenities. Luckily, the city has a creative solution. ROTATIO: DIRS Shannon May Mackenzie, Ian McClerin. USA. A blank wall, a sharpie and a secret converge in this rumination on the power of art, resilience and letting go. SEVEN DAYS A WEEK: DIR Tal Amiran. UK. Paul Saxton reflects on a long life behind the counter of his London street newspaper stand, 365 days a year. SNAILS: DIR Grzegorz Szczepaniak. Poland. Best friends with a shared goal of becoming millionaires believe they've found the answer to their dreams in an unlikely profession: snail farming. TALLER THAN THE TREES: DIR Megan Mylan. USA. A day in the life of a Tokyo man balancing his roles as an advertising executive, father, husband and devoted son to his ailing mother. TRACKS: DIRS Gunnar Bergdahl, Annica Carlsson Bergdahl. Sweden. What if an unavoidable part of your job involved accidentally killing people? Swedish train conductors recount the traumatic effects of a not-so-routine aspect of their job. TRAIN SURFERS: DIR Adrien Cothier. USA. Thrill-seeking young men tempt fate on Mumbai's high-speed trains. WAR AND THE CITY: DIR Dmytro Konovalov. Ukraine. Hospital staff are inundated with injured Ukrainian soldiers fighting for independence in the nearby town of Kharkiv. WELCOME TO THE LAST BOOKSTORE: DIR Chad Howitt. USA. Josh Spencer took a decade to adjust to being paraplegic, changing his life and those of others by lovingly creating one of the world's largest independent bookstores. Audience Awards will be bestowed upon films based on the results of ballots cast by festival attendees after theater screenings. The winners of the Audience Awards for Best Feature and Best Short will be announced on Sunday, June 26. 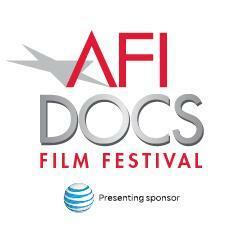 AFI DOCS is the American Film Institute’s annual documentary festival in the Washington, DC area. Presenting the year’s best documentaries, AFI DOCS is the only festival in the U.S. dedicated to screenings and events that connect audiences, filmmakers and policy leaders in the seat of our nation’s government. The AFI DOCS advisory board includes Ken Burns, Davis Guggenheim, Chris Hegedus, Werner Herzog, Rory Kennedy, Barbara Kopple, Spike Lee, Errol Morris, Stanley Nelson, D A Pennebaker and Frederick Wiseman. Now in its 14th year, the festival will be held June 22–26, 2016 in landmark Washington, DC venues and the historic AFI Silver Theatre in Silver Spring, MD. Visit AFI.com/afidocs and connect on twitter.com/afidocs, facebook.com/afidocs and youtube.com/AFI.